Ask Hannah Camacho where she's from and she hesitates a little. "My dad was a traveling preacher, so technically when I claim a homeland it feels a little hypocritical, cause we would move every week to a new church and he would hold revival meetings," Camacho says. So before she and her husband moved their family to Spokane a few years ago, she was sorta from Wisconsin and sorta from all over the place. Camacho says the nomadic lifestyle of growing up in a 40-foot fifth-wheel trailer with her four siblings — "my mother was a saint" — forced her to learn how to make fast friends and dive right into interesting conversations. "I think it was certainly hard, because we weren’t really able to create a lot of relationships long term," she says. "But I think in many ways it’s made it easier for me to get to know people just because you have a week to make friends." 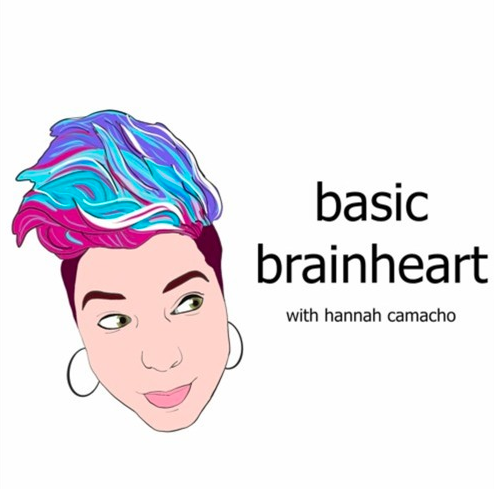 Hannah Camacho's podcast Basic Brainheart is available on iTunes and Soundcloud. That might explain some of her success in landing long-form interviews with people who've worked on some of the biggest shows and movies in Hollywood for her podcast Basic Brainheart, a passion project she started about a year ago. She started the podcast in part to push herself to keep learning and improve her own storytelling and art, and in part to look at what makes people successful. "I think a lot of times there’s this assumption there’s some secret sauce, there’s some magic that people are just born with and they automatically are somehow a great storyteller but nobody knows how or why," she says. "I want to maybe demystify what that process looks like to become a better storyteller, better artist, a better creative." On top of interviewing animators and artists who've helped create major films and shows, she's also interviewed Oscar-nominated screenwriters and directors. "You can find a million interviews on the people who are in front of the camera," Camacho says, "but if it wasn’t for the people behind the scenes, there would be no story." Over the course of each roughly hour-long episode, recorded from her Liberty Lake home, Camacho learns from makers like Inside Out writer Meg LeFauve and Eric Heiserrer, who adapted the screenplay for Arrival, as they explain how they got where they are now. Hannah Camacho interviews animators, writers, directors and more for her podcast Basic Brainheart, recorded out of Liberty Lake. Her biggest takeaway so far is that mostly, creative success comes down to hard work. "It’s very refreshing to hear that everyone’s story comes back to: It’s just really hard work and learning to hone your craft. It’s really the people that stick to it and learn and are willing to accept feedback that break through," Camacho says. "It’s a relief to hear that there’s no secret sauce, you know what I mean?" That's especially meaningful to Camacho, who works by day in marketing and communications for Numerica Credit Union and spends most of the rest of her spare time with her husband and three kids, who are 10, 8 and 7. "It’s encouraging and kind of puts a fire under my tush, in terms of keep learning, keep going and be open to feedback, and eventually you’ll create something that’s great," she says. She also wants to set a good example for her kids to encourage them to work toward the things they're passionate about. "As a mom of three, I'm passionate about learning things for myself and want to show and model what it looks like to set a goal and meet it and that really the only thing between you and that goal is hard work," Camacho says. Her show has also put an emphasis on women in creative fields. Because of her work, Camacho has been signed on as an official partner of Women in Animation, an organization that pushes to get more women into careers in animation and support those who are already doing that work. Being a wife, a mom and having a career and aspirations of her own, Camacho says it's inspiring to learn how other women make it work. 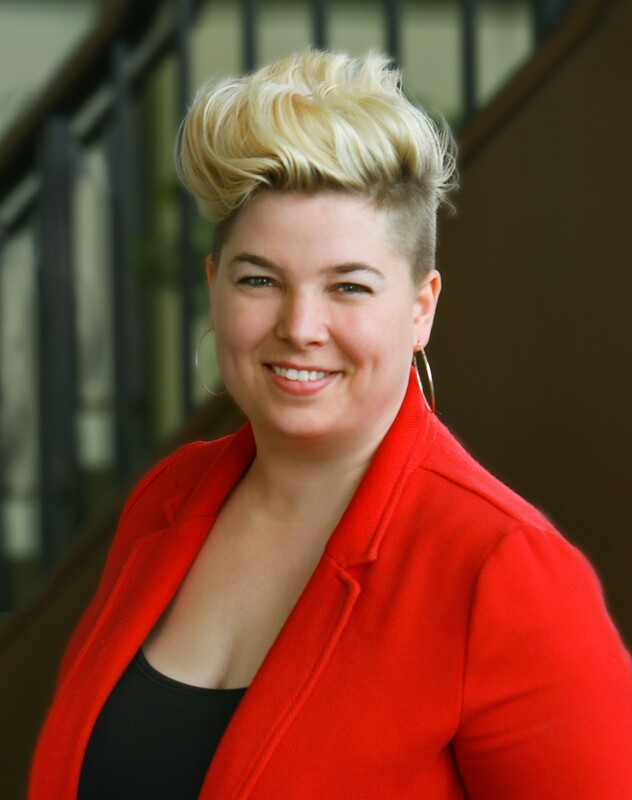 Largely, she wants to encourage women and girls to get into these creative fields that have a significant cultural impact in setting models for people to follow. "I think storytelling sets the tone for our culture, and if there’s not representation behind the scenes, that will not translate into stories that matter in terms of setting the tone for our culture," Camacho says. "Right now there’s a lot of males that are crafting those stories they think everyone wants to hear, but they’re ignoring the female voice, or they’re just not bringing that in. So women behind the camera are just as important as women in front of the camera."